I’ll be the first to admit, I haven’t reached for leopard in quite some time now. But after this past NYFW, I can’t seem to escape it. It was everywhere. On show attendees. On runways. And certainly every store I popped into for a few new styling pieces. 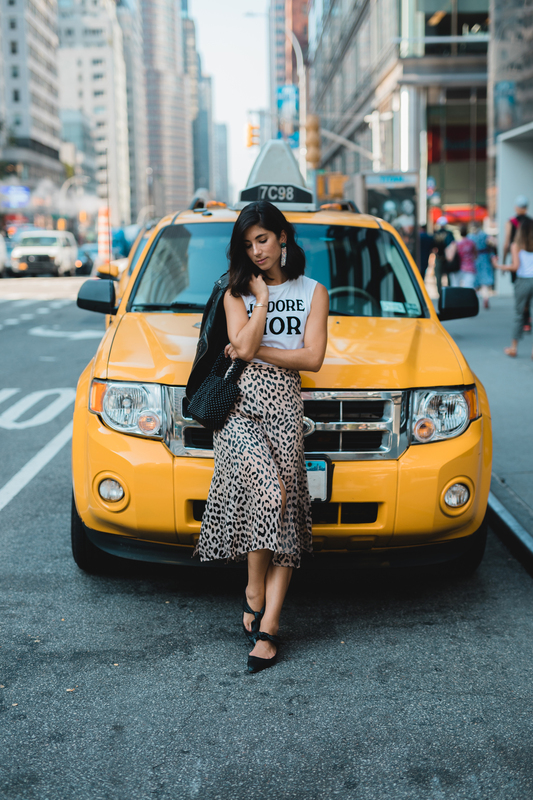 So, if you’re like me and have been eyeing the Realisation Par skirt that made it’s infamous debut on practically every influencer this past summer, I’ve put together a few key styling tips I’ve been keeping top of mind with an almost perfect duplicate skirt by Alice + Olivia. 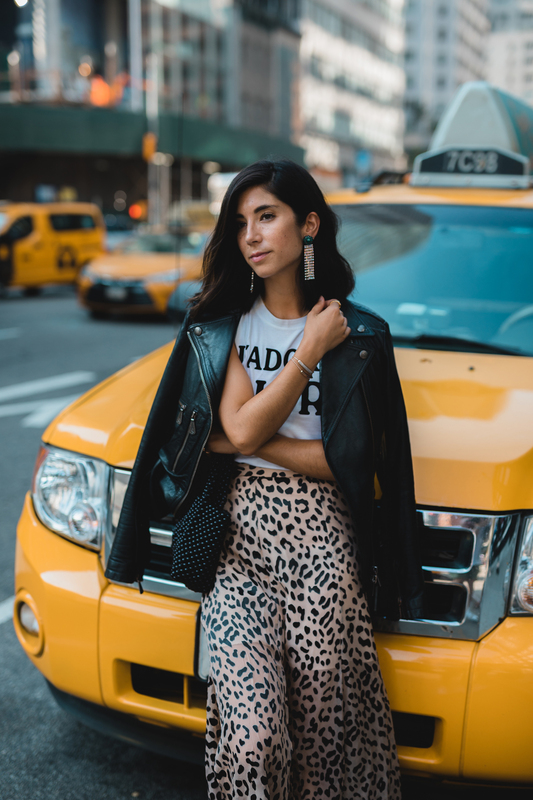 Make it business: I think what makes leopard somewhat unapproachable for people (myself included), is the preconceived idea that it’s too flashy and too statement for everyday wear. Of course, your office environment will be the true determining factor here, but I do think leopard can be quite refined and polished, especially when paired with the right pieces in your work wardrobe. I went a bit playful with my workwear look here, pairing my skirt with an oversized plaid blazer, but you could also opt for a white button front blouse and a black blazer for something more conservative. Suit up: Of course, sometimes the beauty of leopard is it’s FLASH factor. I have to admit, I loved seeing all the head to toe leopard looks, especially in the form of a chic, well tailored suit. I recently picked up a Veronica Beard leopard suit (which will be posted to IG later this morning) that worked perfectly for fashion week purposes but could also fit in nicely for a party or a concert. Plays well with others: Pattern mixing with leopard isn’t a new concept, but I loved the slew of combinations I saw this particular fashion week. Leopard and snakeskin. Leopard and plaid. Leopard and zebra. Leopard with other shades and sizes of leopard print. Pay attention to materials: For a very current take on leopard, keep your eyes peeled for the silk varieties and their denim counterparts. High on my list right now is a denim leopard print jacket. Are you guys into leopard right now? How are you styling it? 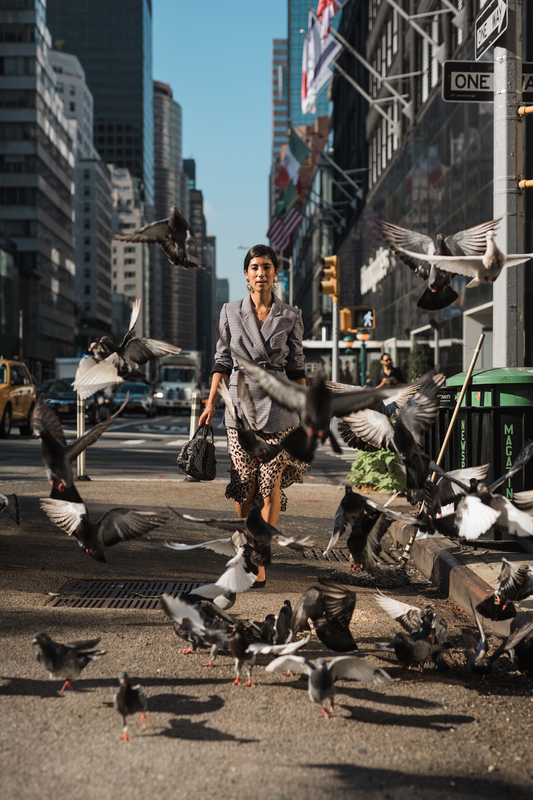 Style and how-to, leopard, new york, nyc, styling tips. Beautiful, elegant, stylish and trendy … 3 great outfits to start the week! The looks you created with the leo skirt are perfect! I am sooo into leopard right now! I can’t get enough! I’ve been obsessing over the Realisation Skirt! It is so perfect! All of the outfits are beautiful, but look 1 is my absolute favorite. Thank you again for the inspiration.